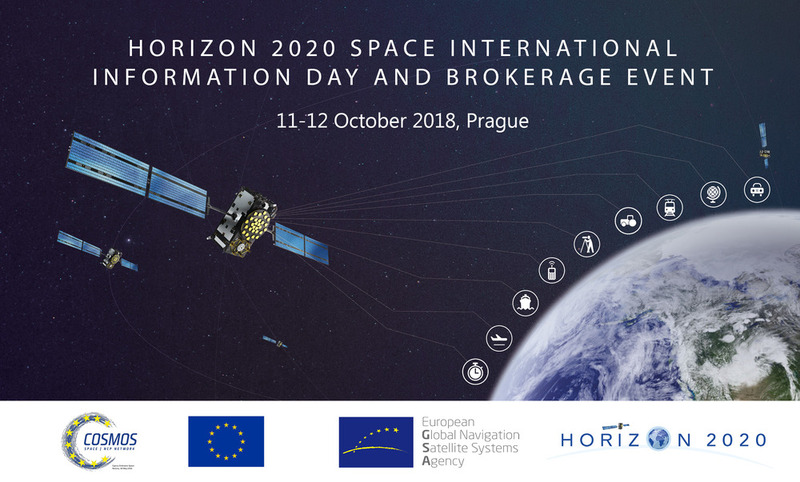 The European GNSS Agency (GSA) and the H2020 Space NCP Network COSMOS2020 are organising a Horizon 2020 International Space Information Day and Brokerage Event at the GSA’s Prague headquarters on 11-12 October 2018. The aim of the event is to inform participants about space opportunities in Horizon 2020 and beyond and to provide first-hand information on the next H2020 Space Calls, with a special focus on the 4th H2020 EGNSS Call. The event is targeted at companies, universities, research institutes and public bodies and will give participants an overview of the evolution of the Galileo Programme and its current state of play, in addition to a review of market uptake for both Galileo and Copernicus programme. Read this: EGNSS funding opportunities – what’s on offer? Participants will have the opportunity to talk to the authors of the Space Work Programme 2019-2020, get tips on H2020 proposal writing as well as inspiration from the latest technology trends. The event will also offer a unique opportunity for networking and for meeting potential partners through bilateral meetings and B2B matchmaking. As the next EU Framework Programme is already under development, participants will also be able to get some advance information of what they can expect from the future programme. Registration is open until 7 October, but to be sure of getting a place you should register now by clicking here.